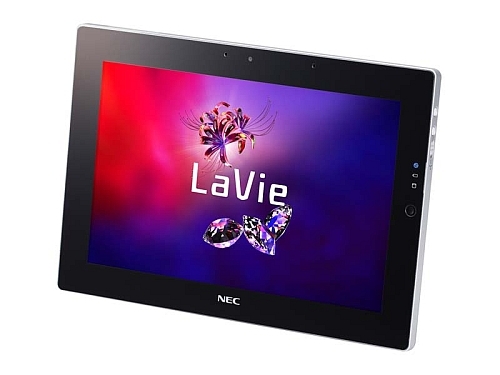 Japanese IT company NEC Corporation has announced a new Windows 7 tablet as part of its LaVie series. Simply called the LaVie Touch, the 10.1-inch tablet will be sporting a 1280x800 resolution IPS display, 1.5GHz Atom Z670 processor, 2GB RAM, 64GB SSD, 2x USB 2.0, HDMI, Bluetooth, SD card reader and a front-facing camera. In all, the tablet will be 0.62 inches (15.8mm) thick and weigh about 1.6 pounds (0.73kg). 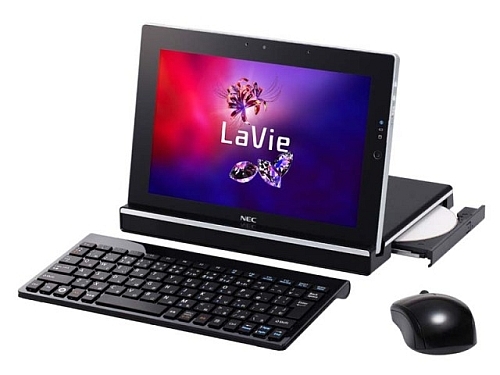 Users can outfit the tablet with its own docking station, wireless keyboard and mouse as well. The docking station in particular doubles as a stand and includes a DVD drive. The LaVie Touch will be on sale in Japan starting October for ¥94,500 ($1230) including the add-ons mentioned above. An international launch has yet to be announced.